With 3 busy and active boys around, my house can go from neat & tidy, to utterly embarrassing in just a matter of minutes. What I spend hours doing, can be undone faster than the time it takes to read this post! Needless to say, I felt it was time for a regular chore system. 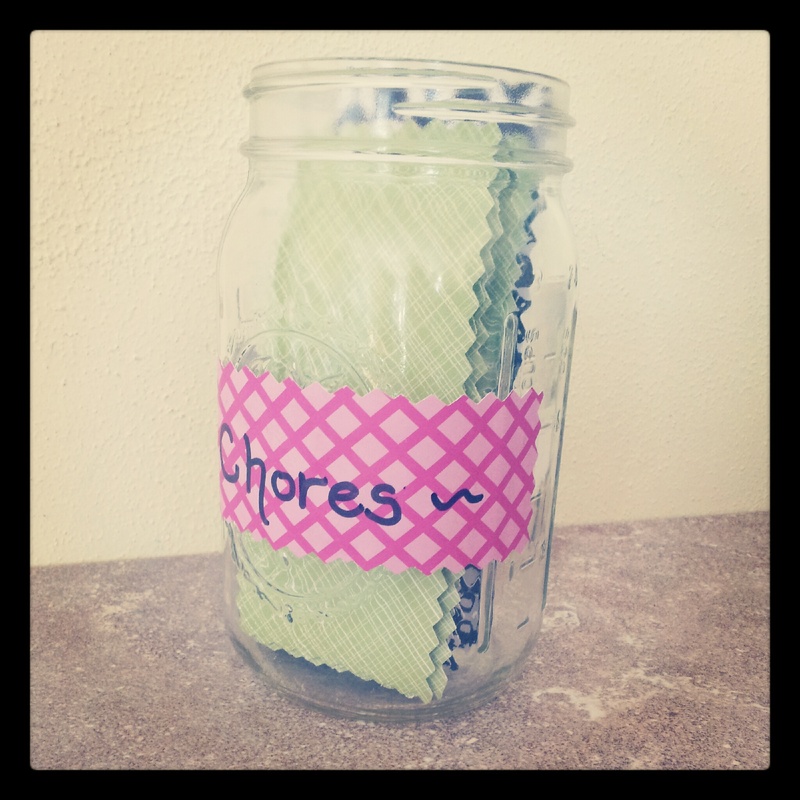 This past Winter, I put together our “chore jar”, and it has helped immensely. 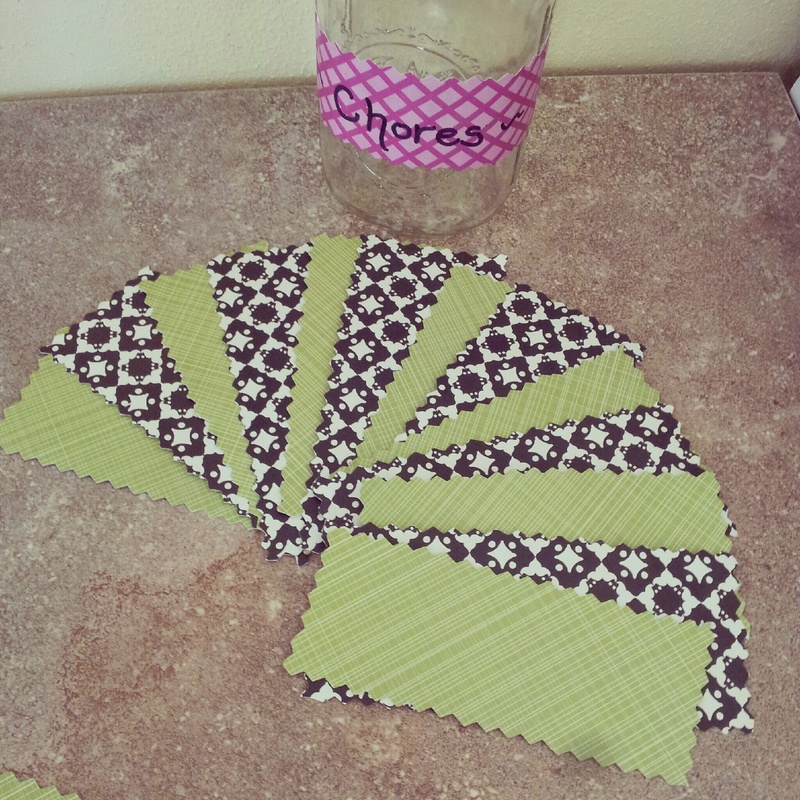 I cut out chore cards from extra thick scrapbook paper in two different colors. One color (green) is for all the bathroom chores. The other color (black & white pattern) is for all the kitchen/dinner chores. 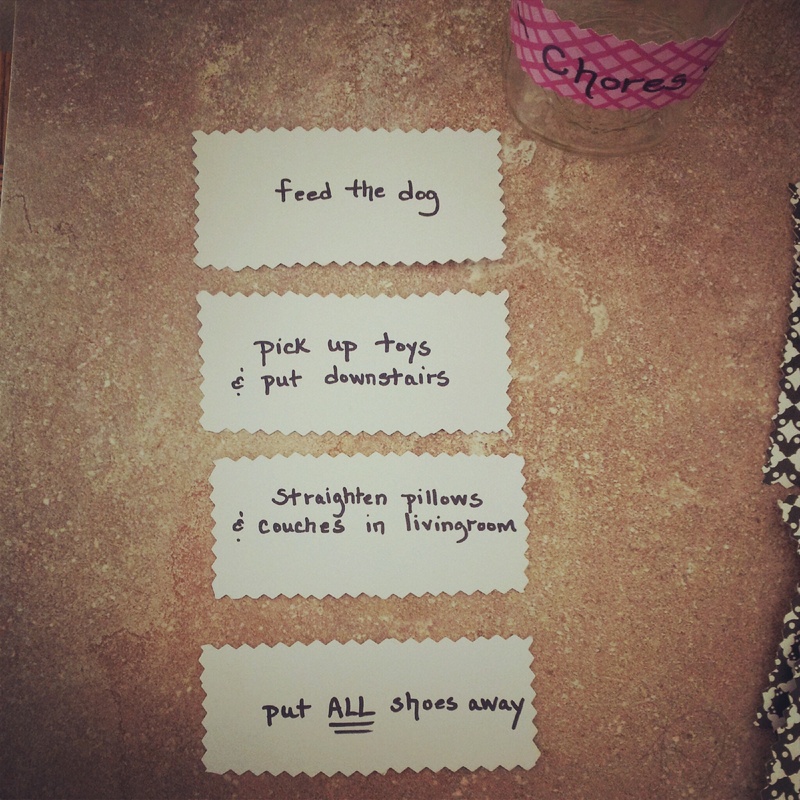 On top of that, we have an extra group of chore cards for a few things that need to be done every single day. They also choose one of those to go along with their bathroom and kitchen chore for the day. While Beau and Judson are working on their chores, Lofton (2 yrs) enjoys pushing the broom around, and especially loves it when I hand him a soapy rag to wipe things down. He loves to feel like he’s helping. Maybe starting him early will help him keep his great attitude about pitching in! 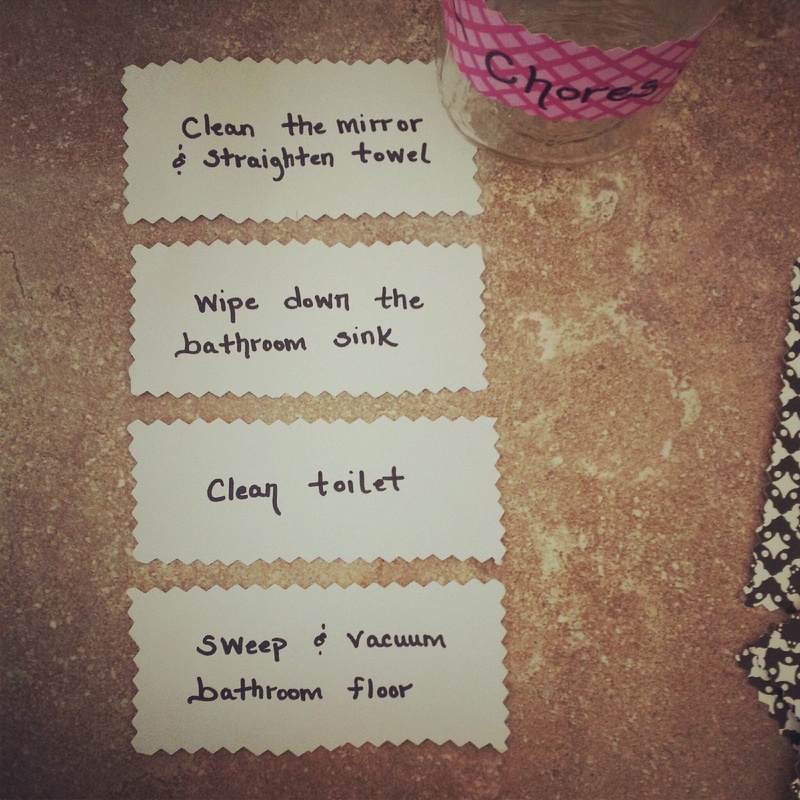 So that’s our chore system! I’m curious to know how other moms do it! Please leave a comment and tell us what works best for your home! I’m always eager to implement new ideas! 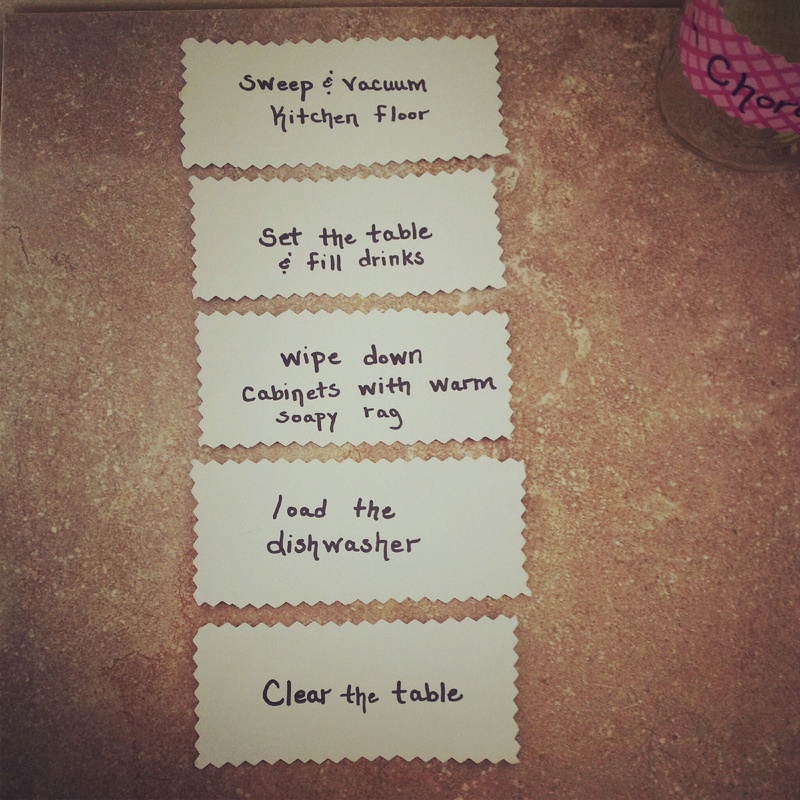 Categories: being mom, children, cleaning, home management, Kelsey, organization, training, Uncategorized | Permalink. Defeat is an ugly word. I don’t like it one bit. But, I have to admit, I have been feeling very defeated lately. Maybe it hurts my pride to admit that, but maybe some of you have been having the same kind of feelings lately about certain areas in your life. For the last few months or so, I feel like trying to have a “successful day” has been a struggle. And by successful day, I mean, keeping up with household chores, tending to all the needs of my family, schooling my children thoroughly and with a cheerful attitude, teaching, correcting, and mothering my children without losing patience, and balancing everything properly so my husband doesn’t get left out of the equation as well. It seems that every morning we hit the ground running, and right off the bat I’m dealing with attitudes, fights, messy floors, dirty dishes, and the cloud of homeschooling hanging over my head. What happened? We started off the year so well! Well, I’ll tell you what happened. I haven’t had my armor on. I am ashamed to admit, I have been trying to do everything on my own. Somewhere along the line, I forgot how important and absolutely necessary it is to prepare myself for battle by having my daily walk and talk with the Lord first. Turns out, I can’t do it on my own, nor does the Lord want me to. Our pastor gave a wonderful and convicting message this morning in church. It was one of those messages that makes you feel like it was given just for you. My weary heart soaked it up. It dawned on me that I have been fighting a losing battle. No wonder I haven’t felt very successful lately! One thing he said really stuck out at me. “When we become a child of God, we become someone the devil hates.” Yikes. Ephesians 6:12 says, “For we wrestle not against flesh and blood, but against principalities, against powers, against the rulers of the darkness of this world, against spiritual wickedness in high places.” Doubles yikes. I don’t know about you, but I am no match against the rulers of the darkness of this world. My battle is not with my strong-willed son, or with my adorable but mischievous and destructive 2 yr old. My battle is with the devil himself. How could I expect to have a victorious day when I am being “hit” and “wounded” all day long without my armor? No wonder I was feeling exhausted and overwhelmed at the days end. My soul hasn’t been getting enough of the spiritual food that it needs. Ephesians 6:11 says, “Put on the whole armor of God, that ye may be able to stand against the wiles of the devil.” The “wiles” are the devil’s strategies. They are different for each person, because the devil knows which dart to use, and where to aim. It seems he knew that “school darts” and “attitude darts” worked pretty well on me. As well as “never-ending house chore darts”. Satan wants to see us fail. Nothing makes him happier than when we stumble and fall. In fact, he probably rejoices and laughs at how easily he can knock us off course. We are only human, we are no match for him. But, as Christians, we have the Lord on our side! We need to remember that we can’t do it on our own, but by the grace of God, we can do it with Him! Luke 1:37 says, “For with God, nothing shall be impossible.” Jeremiah 32:17 says, “Ah Lord GOD! behold, thou hast made the heaven and the earth by thy great power and stretched out arm, and there is nothing too hard for thee.” Ladies, I know who I want on my side! I want the One who created the world, and made each one of us. And He wants me too. He desires fellowship with us and deserves first place in our hearts and lives. I have learned a valuable lesson these last few months, and will no doubt be making some changes. I hope you can appreciate my honesty, and I hope this encourages any of you who have been having similar struggles. You can’t dodge a dart if you’re not prepared for battle. Praise the Lord for not giving up on us, but instead- loving, correcting, and reminding us that we can’t do it alone. Categories: as a woman, being mom, being wife, children, encouragement, from a sermon, Kelsey, lessons taught & lessons learned | Permalink. Her name was Vi, short for Viola. (which she hated) She was a beautiful and stylish young bride in 1944, at a time when songs that topped the charts were from people like the Andrew Sisters, Bing Crosby, and Glen Miller. She witnessed events like the Great Depression and the attack on Pearl Harbor. She was also a war bride, whose brand new husband had to leave her side to go fight for our country. She raised three children and somehow always managed to keep her poise and class. She wore lipstick, jewelry, and perfume up until the very last days of her life. Her house was always immaculate and every last drawer and closet space was neatly organized and labeled. 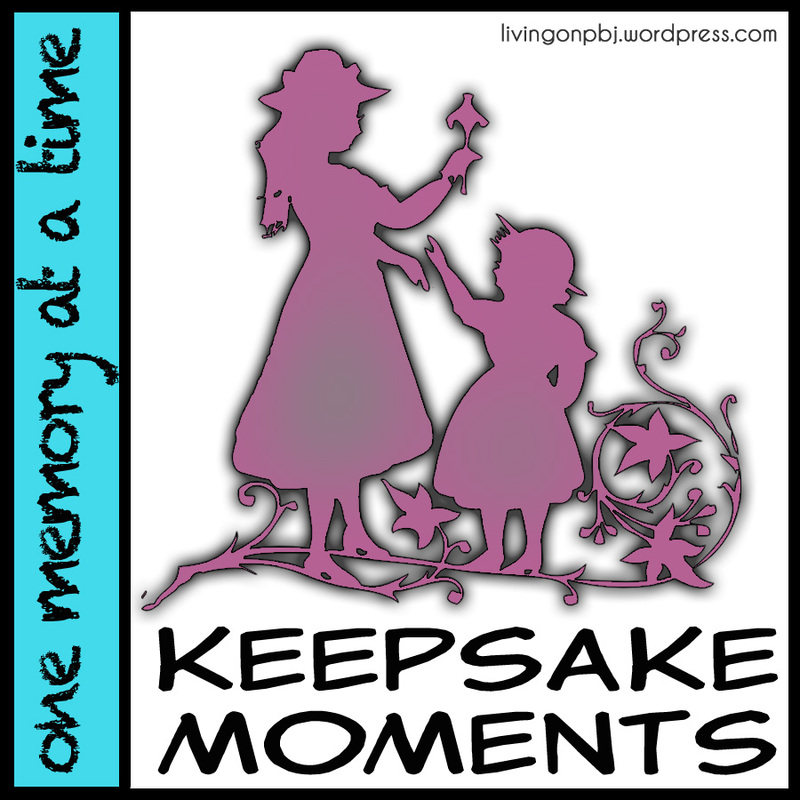 She was a devoted and loving wife, mother, and grandmother….my Grandmother. Other than my dear, precious Mother, I couldn’t think of any other woman who has been as influential in my life as my Grandma. And since writing a post about our mom’s was to be saved for a later date, I’m loving this opportunity to introduce you all to one of my most favorite women, my Grandma, Vi. If I close my eyes, I can still hear her laugh. I can still smell her perfume and the way the scent was always combined with mint gum. I can still picture her dressed up at each holiday gathering with her hair freshly done, and her pink lipstick on. I can still picture her and my Grandpa waltzing around the livingroom floor as my Dad and I played music. She was the kind of grandmother that made you feel like each word you said was as important as a presidential address. She, along with my grandpa, were my biggest fans. They traveled all over the place following me to every concert, competition, or performance. They would get there early of course, to get the best seats in the house and to set up their video camera. (Let’s hope some of those videos never see the light of day) Anyways, I learned many valuable lessons about being a wife and mother by watching my Grandma. In the last years of my Grandpa’s life, he suffered from Parkinson’s. Taking care of him, was her life…and she was happy to do it. She displayed a great amount of faithfulness and devotion. In fact, a few years later after he had passed, and while she was now struggling with dementia, she never stopped looking for him and would ask where he was. That broke my heart, but it was such a great indicator of their relationship. In a world where a lasting marriage is a rarity, I am reminded of how much of an impact she had on my life. I hope and pray that someday my children and grandchildren can say similar things about the kind of wife I was to my husband. I want to be remembered as a loving, devoted, and faithful wife. I want to be remembered as a lady with class. I want to be remembered as someone who made others feel special. I want to be remembered…as she is remembered. 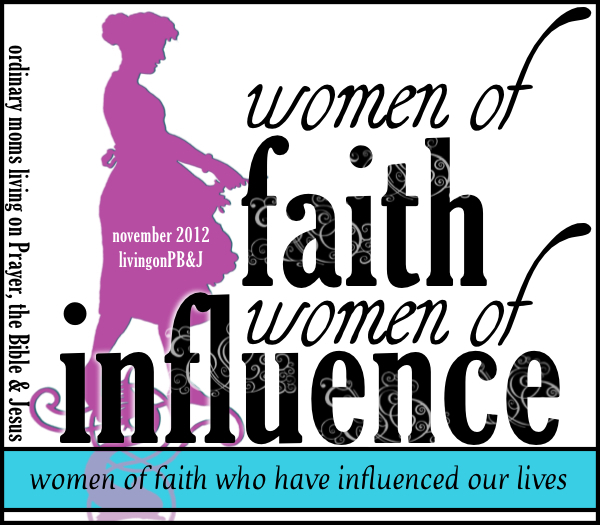 Categories: Kelsey, series, Uncategorized, women of faith & influence | Permalink.